The International Truck of the Year (IToY) organisation, of which the Commercial Vehicle magazine is an Associate Member from India, has announced the launch of a new annual ‘Truck Innovation Award’ that would recognise trucks of tomorrow. 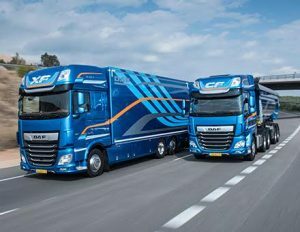 Focusing on advanced technology vehicles with alternative drivelines above 3.5-tonnes GVW, the award will be presented and judged in parallel to the existing International Truck of the Year award. Reflecting the ongoing energy-transition taking place within the automotive industry towards new, unconventional, low-environmental footprint trucks, the inaugural award will be presented in a ceremony at the forthcoming IAA Commercial Vehicle show in Hanover in September 2018. The main criterion of the award based on its likely contribution to increasing the efficiency of transport of goods by road in the foreseeable future, the nominated truck must be an advanced technology vehicle, should either feature an alternative driveline (hybrid, hybrid range-extender, all-electric) or have an alternative fuel-system such as LNG, CNG, hydrogen, etc. With the potential to reduce its environmental footprint within the countries involved in the International Truck of the Year, the nominated truck must have specific ‘hi-tech’ solutions (like semi-autonomous, fully-autonomous, have ‘platooning’ capability, or posses advanced support services such as remote diagnostics, etc.) in terms of ‘vehicle connectivity’. The truck could be in prototype, in early-development phase or in ‘small series’ production. It should be drivable, and not a one-off concept.